Where Do You Need Porta Potty Rental? No one can help you get a better price on your next porta potty rental than XRefer. Our experts walk you through a simple step by step process to help you understand how many portable toilets you will need, the exact type (construction, special event, toilet trailer), custom add-ons (hand wash stations, sanitary dispensers, etc. ), review payment options and place your order within ten minutes. By using XRefer and comparing quotes you can save $100 or more on your next rental so get started now. When disaster strikes thousands of residents need emergency portable toilet solutions for days or even weeks until plumbing can be restored. When floods, major storms, hurricanes and other disasters hit, XRefer jumps into action to ensure portable sanitation is provided to all who need it. Speed is critical and all XRefer partners have experience delivering a full porta potty fleet ASAP even when infrastructure is down and other challenges persist. 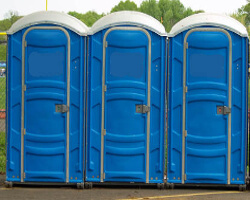 Government agencies and disaster relief organizations need porta potty companies with experience, reliability and large inventory. We help them cope with high demand during an emergency. Short answer: 1 portable toilet serves up to 10 people for an entire day, or up to 50 people for a 1 hour event. Multiply average number of workers with average number of daily shifts and apply ratio of 1 porta potty to 10 workers. Contractors can refer here for more detail. Add 15% to account for shifts when more workers are present. Start with number of attendees multiplied by hours of the event to get your base number. Determine the ratio of men to women at the event. Add 20% to your total portable restrooms if there is a higher ratio of women to men at the event. Add an additional 40% if alcohol is to be served. Where Can I Keep a Portable Restroom? Find flat, sturdy (i.e. no mud) surface. Give at least 30 feet for the truck to delivery the porta potty (unless you are renting a toilet trailer that will have more mobility). Make sure the portable toilets are placed out of high traffic areas where heavy construction equipment or forklifts will be passing regularly. 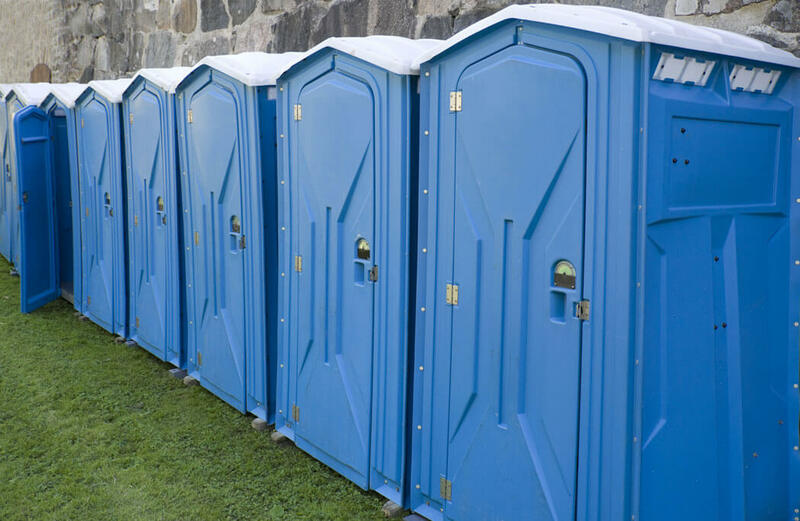 Here at XRefer we know that you have options when it comes to choosing a porta potty rental company, and it's often difficult to select the one that suits your needs the best. Here's some questions that you should ask a portable toilet company to make sure they're a good fit for your needs. How long have you been renting portable toilets? Do you have references available from past clients in the area? Does the monthly porta potty rental rate include pumping service? If so, is pumping done once a week, every other week or once a month? How many events do you typically work each month? How often do you inspect your portable toilets to make sure they are in top condition? Is delivery included in the rental rates? Remember that it's ok to shop around. In fact, you are doing your company a disservice if you aren't comparing porta potty prices from at least three companies. XRefer research has shown you can save 20% or more and it only takes a few minutes. Get started today and see how we can help.